A black gown was heavily embroidered with white knitted worsted, while another was edged around the hem of the short ankle skirt with tiny black silk fringes, through which were visible when the wearer walked the white uppers of black patent-leather boots. 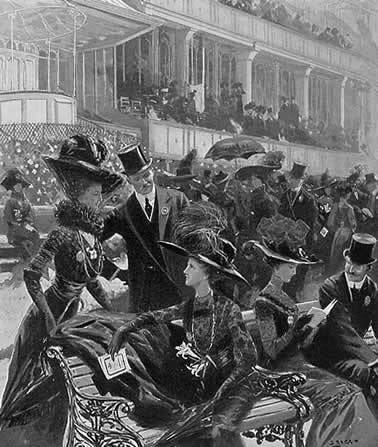 The most famous occasion of black attire was “Black Ascot”–that week in 1910 where Society attended the races (at the behest of King George V) in mourning to honor King Edward VII, who died that May. 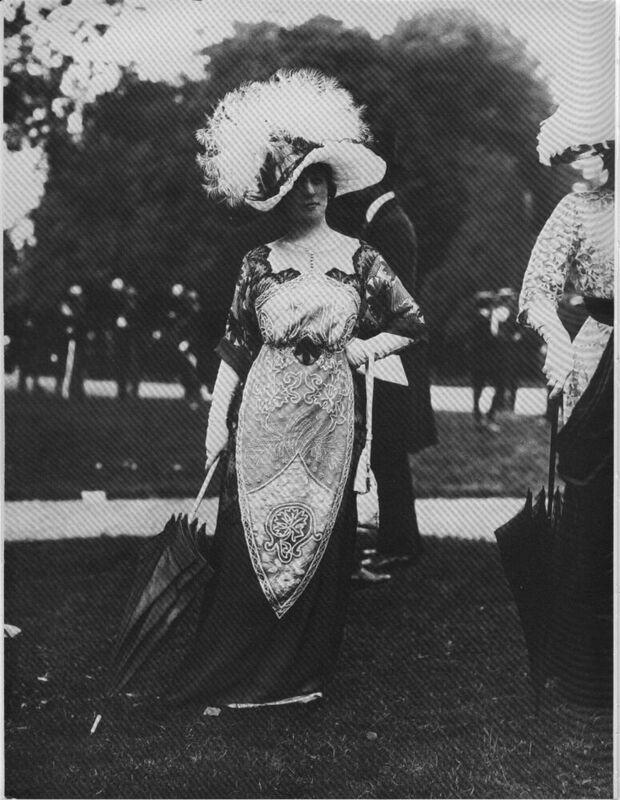 Ultimately, Black Ascot, and the trend for black-and-white gowns at the end of the Edwardian era, inspired Cecil Beaton’s infamous Ascot sequence in My Fair Lady.